As the weather turns colder and the days grow shorter, holiday lighting and decorations will soon start popping up on commercial properties throughout Cleveland and beyond. Here at Schill Grounds Management, we’ve installed holiday décor everywhere from major retail parks to senior living facilities, so we know what it takes to make landscapes and buildings look their best in a safe and festive manner. Because we love to spread holiday cheer, we wrote this article to help you avoid some common mistakes that people make when decorating for the holidays and to let you know what you might be missing if you decide not to use professionals for your installation. 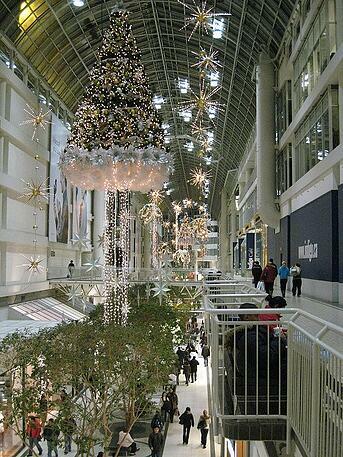 When people think about seasonal lighting for their commercial property, winter holidays tend to come to mind. But depending on how your property is used and who your clientele is, holidays like Halloween, Independence Day, and even St. Patrick’s Day—all of which take place during outside of winter—can be just as much a cause for flair and decoration. And holiday décor goes beyond lighting as well. In the fall you can use corn stalks, pumpkins, and straw bales to extend the season with color and textural enhancements. Flags can be used to show off patriotic pride in the summer months from Memorial Day through Labor Day, and you can use spotlights and well lights to draw attention to these elements at night. Finding a balance between simplicity and aesthetics is the fundamental struggle in design, and it’s something we always strive toward at Schill. When it comes to outdoor holiday lighting and décor, many people tend to lean towards excess—because how can you have too much holiday cheer? But designs that are overcomplicated can make it so that nothing on your landscape actually stands out, whether it be by pitting too many varieties of plant within a container or installing excess lighting that distracts rather than focusing the viewer’s attention on any specific parts of the property. While you may see standard holiday string lights on sale at Walmart even days before the biggest holidays of the season, the best custom commercial lighting can begin go out of stock as soon as early fall. This can catch many property managers off guard, having to either pay much more to get the lights they want delivered at the last minute, or having to choose lighting options that aren’t their first choice. 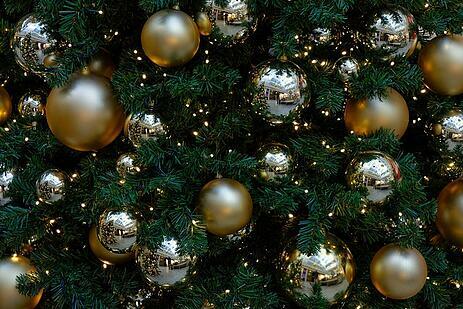 Hiring a professional company to handle your holiday decorations is one of the best things that you can do to avoid headaches and save money year after year. Below, we’ve listed some of the biggest benefits of working with an experienced team. 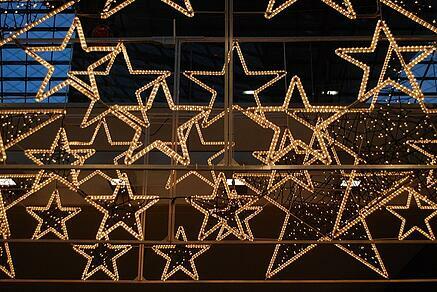 Why have a professional put up your holiday lighting and décor? Putting up decorations around your house is one thing, but even simple tasks like stringing lights and hanging garlands can be dangerous depending on the size of your commercial property. Is your team skilled enough to check for damaged, burned out, or frayed lights? Neglecting to do this can cause serious problems, as using damaged lights is a fire hazard. Does your staff know how to properly remove and store your lights in order to prevent this type of damage? In addition to increasing the risk of fire due to damage, improper storage can shorten the lifespan of your holiday lights, which can be a colossal waste of money. We string thousands of feet of lights per year, so our crews know how to avoid rookie mistakes. Not only do we work safely and efficiently, we also know how to use lighting and décor to draw attention to the parts of your property that you’re most proud of and we have the labor and tools to pull off even the most ambitious projects. While some people genuinely enjoy stringing lights every winter, there are certainly better uses of your staff’s valuable time. Not only will you not have to worry about installation, a grounds maintenance provider or professional lighting company will also take care of taking them down for you. The Schill team will often use the trimmings from your own evergreens to make festive planters. This can save you a lot of money, since the plants in the containers come from your property. This is a major benefit of having one year-round grounds maintenance provider who is familiar with various types of trees and shrubs on your property. On the other hand, if you have someone in house do your decorations (or even a company that only specializes in lighting and décor), there’s a good chance that they either won’t know about this tip at all or they’ll damage your plants by cutting them improperly. All lighting is not created equal. It’s easy to tell when lights were bought from the local store or tailored custom for a property. 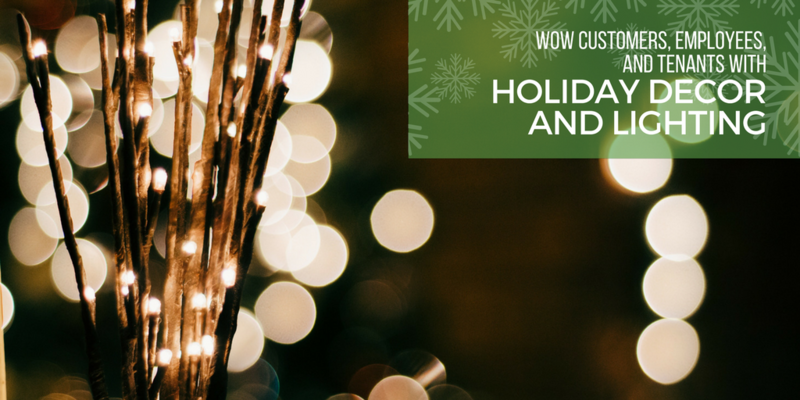 When you work with a professional, they can buy holiday lighting direct from the manufacturer that’s custom trimmed to fit your buildings, trees, and plants perfectly. You don’t have to worry about unsightly excess wires that can be an eyesore when left strung high or a tripping hazard if placed on the ground. Of course, you can order these lights yourself and have your staff set them up, but when you work with a grounds maintenance company like Schill who orders lights like these in large qualities, you’ll tend to get a better price for them. 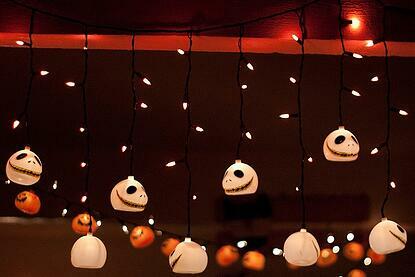 As we mentioned above, many varieties of custom lights can sell out quickly. The Schill team loves working with property managers to make a statement no matter the holiday. If you live in the Cleveland or Northeast Ohio area and want to talk about how to create a great visual experience for your customers, tenants, or employees this season, please don’t hesitate to contact us. 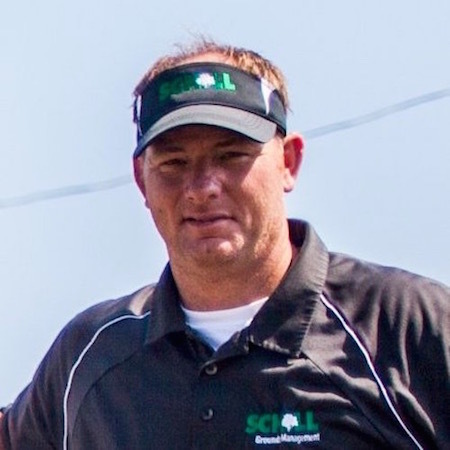 Jim Schill has had a long career in the commercial landscaping industry. After graduating from Malone University with a B.S. in Business Management, he brought his business and sales expertise to Schill. With extensive experience in sales and operations — including the Sandler Training program — Jim has helped Schill reach new clients and customers throughout the Cleveland market. Jim is a former Board member of the Ohio Landscapers Association (OLA).